Recommended support for minor sprains and strains or relief from stiff, arthritic knees. Soft neoprene blend improves blood circulation to assist healing and provides soothing warmth for joint flexibility. *Select size and color choices. projections help keep the bar from trying to roll off your back. This allows most people use a more erect posture because it stops the bodies tendency to bend the lifter forward in an attempt to take the stress off the shoulders. is a great lifting aide for front squats for the powerlifter, weightlifter, bodybuilder, and olympic lifter. 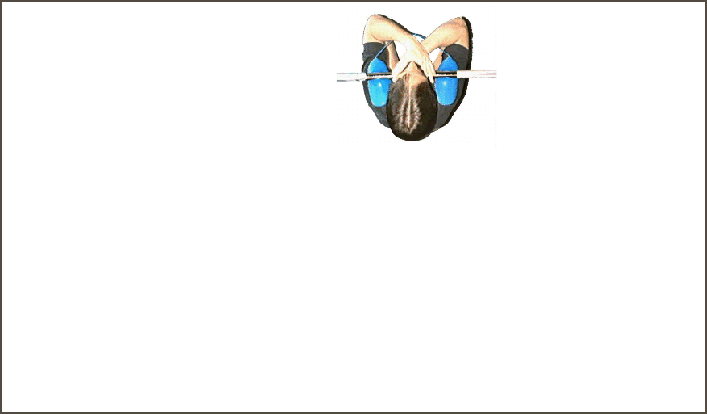 · Lifts the bar off the collar bone allowing full expansion of the rib cage! · Provides easy bar control without stressing shoulder, elbow, or wrists! · Allows the widest rack on the body by moving the load out to the front delt! · Small and lightweight yet virtually indestructible for years of tough service! Cone Chalk is used to reduce the friction. Use as talc for deadlifting.Less messier than baby powder.